Think you have to publish 3x/week to earn a full-time income? In this episode of the 10X Profit Podcast, I talk with Rachel from Feast and Farm. 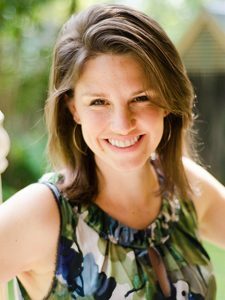 She’s not just any food blogger; for the last two years, Rachel has been applying smart brand + business strategy to multiply her traffic and income without the usual hoopla. She’s gone from overrun blogger to smart business owner, now making a generous full-time income in just 15 hours a week! In today’s show, I talk with Rachel about the shift from blogger to businesswoman and the strategy she’s applying to every level of her biz. Plus, we talk about getting past the temptation to always chase the next “shiny object,” how she stays focused on the RIGHT next steps, and how she maintains a cattle farm and hectic family schedule while earning a full-time income (hint: she’s not killing herself to do it). Listen here to Rachel’s on-point advice for anyone struggling to turn a blog into a business. Liked the show? Help me out! Click here to leave a review on iTunes! Yes, I’ll help Jeni by leaving a review! I would love to know the breakdown of those 15 hours! 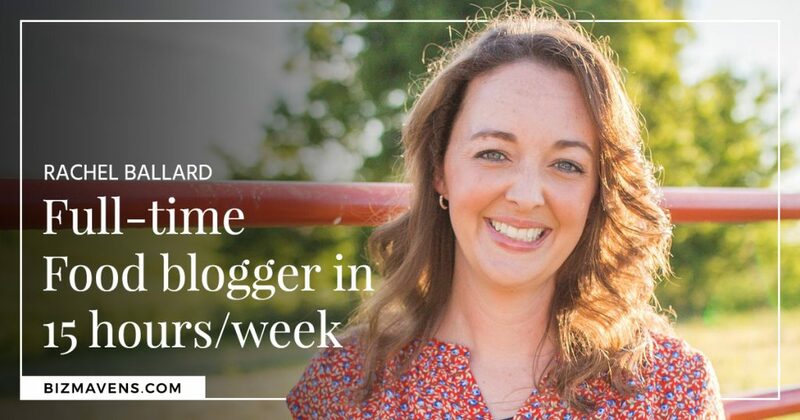 😀 I feel like it takes that many hours per week just to stay connected to my readers through answering email, blog comments, and social media messages and comments. Thanks for the excellent interview! -1 hour a week on SEO strategy–determining posts and titles for new topics and refining old ones that I flopped in the beginning so I can fix those. I’m big on making the most from what is already on my blog instead of cranking out new stuff constantly. -1 hour a week (10 minutes a day or so) answering social media comments. I bounce through each one and answer the people who have a genuine comment that needs my attention. Facebook brings me only 0.2% of my traffic so I spend virtually no time there. It’s different for all of us, but Instagram and Pinterest are doing better for me so I focus there for the most part. I do hire out my Pinterest pinning. Hope that helps! This was a great podcast. I am already trying to really connect with readers and figure out what they want. I think the gold nugget for me today was not stressing about my list and not stressing when people unsubscribe. I appreciate what she said about wanting engaged subscribers rather than numbers. Absolutely Jennifer! What good are a bunch of people who don’t really want what you have to say? Gotta keep perspective on those “vanity metrics”. A big list does NOT equal an engaged list in every situation. This was a very informative podcast! What I took from it was that you have to connect with your audience. I have a natural skin care store. It’s not a blog while we do have a few blog posts. We sell great products but we are not connecting with our customers the way I would like. We need direction. I definitely took some gold nuggets. Thank you! I found the show informative. Thank you, Jeni! Could you repeat the name of SEO audit company? I might need to do it as well. And this is my golden nugget. Sure! It was Casey from Media Wyse. You can message me privately for an additional bit of info Rachel mentioned about that. Hi Jeni & Rachel, i will be listening again. I love hearing that you want a connection and followers that want to be there and not just numbers. My word for this year is organic…you really spoke to my heart! So glad you found it helpful, Jane. I love your word for the year! Really like all the tips Rachel shared, cause I don’t want to just be another blogger who spits out recipes and doesn’t connect with people. Now, in the beginning, I struggle what I should write in the content with my recipes, how I can make it be more engaging and keep me from just writing how much I love that recipe 🙂 A lot of stuff to think of, but I would like to do it right from the start. Hi Jeanette! The best things to use as an opt-in are VERY short. Think of the person you’re targeting as your #1 SuperFan with the content you’re creating. Is there a list of helpful tools that would quickly solve a problem for her? A list of mistakes she might be making? A recipe or two that’s SO simple anyone can do it? The biggest challenge is drilling down to what *she* needs, what *she* desires, and why she isn’t currently successful. A “bribe to subscribe” is simply a quick fix that will make her successful in a small way so she trusts you to continue helping her. 🙂 Hope that helps! I love the podcast format with interviews. And this podcast was encouraging, knowing ones audience doesn’t have to be enormous to help others and make a profit. Jeni! I’ve been wondering what happened to your podcast!! I am so glad you are back! And I LOVED today’s episode with Rachel! What a great lady!! So smart and naturally funny! She had a lot of useful advice for aspiring food bloggers like myself!!! Thank you for sharing! Side note…I tried to leave a review for your podcast and no matter what I did, it wouldn’t let me get much past the main screen after “leave a review” — probably operator error – ha! but I will try again!! Have a great week/weekend!! Thank you so much, Nancy. I appreciate the effort on the review! If you do end up getting through the process, it’s a big help…and if not, I still appreciate you. 🙂 Cheering you on, Nancy! Loved this podcast, so relevant to what I need to learn. I think you I heard you and Rachel say that readers need to hear about new products FIVE OR MORE times before they go up for sale? That’s amazing! Guess that tendency to think you are being “pushy” has to go away. Um, like now. Thanks for the request, Bet! I’d love to make that available, but it’s further down on my priority list for the time being. One thing that can be helpful is if you need to re-listen, you can do it at 1.5X or 2X speed in iTunes! I definitely plan to incorporate transcripts at some point in the future, Bet—thanks for the nudge. Hi Rachel! You mentioned, that you used to block Rich Pins in past, but don’t do it now. What are your reasons? I just tried blocking Rich Pins about a week ago, and I did notice a slight increase in Pinterest traffic. Great podcast! Thanks! Hey Tania—the issue with rich pins isn’t really founded on much. For food bloggers, I’ve seen an increase in Pinterest’s analytics/reach for pins without rich data. Other niches haven’t been able to replicate this issue. I had them off for months and had an increase in reach BUT that reach did NOT translate in to more traffic on my site. I think you really need to watch the bottom line. When I realized that nothing was really changing on my site, I turned them back on. It doesn’t seem to make any difference either way for me. Hello Jeni and Rachel! I’d like to thank the both of you for presenting the world of blogging as it really is. What really spoke to me, the “gold nuggets”, are to just keep momentum, learn from your mistakes, and let your readers be seen. I have just started my blog business (generally about gardening, sustainable living, my family’s journey toward a homesteading lifestyle, and other similar topics). I knew from the beginning that I wanted a business, rather than a hobby. My problem: I am analytical to a fault, so I find myself unable to proceed until I know what direction I’m going in. It’s paralyzing. Just to give you an idea, embarrassing as it may be, I only have two posts that are still drafts! They are ready to be published, but I feel that as soon as I do, I won’t know the next step and flounder. I have a fear of failure, despite the fact that I have a plethora of ideas swimming in my head. On the flip side, my advantage is having an extensive knowledge of website design and coding. I basically created the stage for my blog, but no material, no substance, to be had on it. The idea to help others is what attracted me to the idea of blogging. The love of writing brought me over the threshold. I don’t do well on social media. In fact, I hardly ever post on any social platform unless I am speaking directly to one person. I have a growing suspicion that it has to do with the “fake” feeling I get when I’m reading my feed (for instance: Facebook). I can’t engage with that. I had always thought I never posted on Facebook or any other outlet because I felt out if my comfort zone. It had never occurred to me that what I was really looking for, what I needed, was a sencere connection with other people. I also find I don’t waste time commenting on posts or sending a review simply because I knew I would be overlooked or ignored. Why bother? I am compelled to express my gratitude for your honesty, Rachel. The answers are so simple, yet I know they will challenge me in every way. I know now that I just need to start, creating content and products. Once I do, and I make unavoidable mistakes, I will learn from them without fear. I will make one-on-one connections with others because that is the kind of business I want to run. Thank you both again for your encouraging message! Hey Jennifer! You know, that’s a great place to be in–willing to move forward without being perfect. It’s so easy to feel paralyzed but if you’ll dig for the real person you are and let that shine beyond your stats and code, your readers will connect with you. There’s a huge homesteading market out there. Don’t be afraid to find your people. What a great episode! Rachel, you are so real. And your business strategy and purpose of connecting with your readers is, too. I was driving when I listened so I’m walking back through some of the nuggets… from an about page that isn’t all about me, to an engaged email list, to doing the right things consistently and not everything… thank you both! Thank you Tara! I’m totally real all the time. LOL. What a great podcast! I so enjoyed Rachel’s message, she reminds me of myself in many ways — how and why we got started blogging and the constant SEARCH! It was a good reminder to focus on connection, I’d lost that a little as I’ve worked so hard on SEO over the last year. Well, it’s back at the top of my list! Thanks for all the little tidbits that will help me course correct in places I needed it. It’s a balance of things Judy! If you have SEO under your belt work hard to keep those readers coming back. Make those connections–they’re worth it. I’d also like to put in a plug for a transcript. I am a visual learner and if I try to listen to a long podcast (or ebook), my mind wanders and I miss 90% of the content. ALSO an Evernote person. I get a little crazy about it. That checklist functionality is ESSENTIAL in my day to day process as well as my big picture stuff. I have a ‘master’ to-do list that has two lists… my BIIIG list of dreamy stuff in the sky, but also then my 2018 goal list (containing a summary of strategies and tactics). On Sunday, then, I make a WEEKLY to-do list that is meant to reach for my monthly goals. It starts to get into the nitty-gritty of tactics here. On this same day, I make daily todo lists. As much as I would like to say that I am great at executing daily todos, the daily ends up being a bit more of a guide. It gives me guidance on what tactics I should be doing today and the things I want to get done, but I do my best about not beating myself up when I don’t get things done. Life happens. The summary is that I love Evernote and it helps me turn hopes and dreams (largely intangible stuff) into actionable items. My biggest take away from this edition of the podcast is a goal to be better about blogging to my email list. I set up my email as a matter of getting SOMETHING out there. Yes, my subscribers get an email that basically says there is a new post. That is it. I want to work to engage the readers that took the time to subscribe in a better way. This was super insightful! I’ve become a parent of twins last year and this helped me understand what my focus should be. super powerful. Thank you for sharing this info! Thank you for this Podcast. I found a lot of little nuggets in it. I’m running a small home based business but am new to blogging and want to start of doing it the right way. Its comforting to know that everyone started somewhere and even more comforting to know that they don’t all stay stuck in their ways. I’m definitely busy jumping out of my comfort zone, not eve just climbing out. Thank you so much for this episode, it was the most informative pieces of advice I have ever heard. I connect with people in real life so easily, but I have to figure out how to do that with readers too. I laughed so hard since I really did think it was about the recipes. Since I that is usually what I look for. However, you are absolutely right, if I’m to go back to that blog I have to connect with them. An honest and heartfelt thank you! Great podcast, I love the podcast format as I can do other things while listening so I feel I’m making the best use of my time. I think what was most useful to me was to hear words of encouragement (so important!) and that quality of readers is more important than quantity.